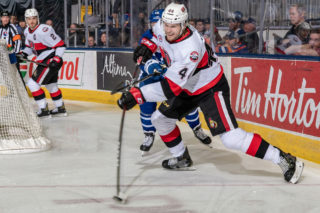 The Battle of the 401 takes place for the last time this season this afternoon and for the Belleville Senators the stakes have never been higher. 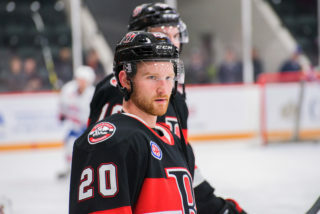 Belleville (36-30-3-5) sits two points behind Cleveland for the final playoff spot in the North Division but the Senators have played one less game. 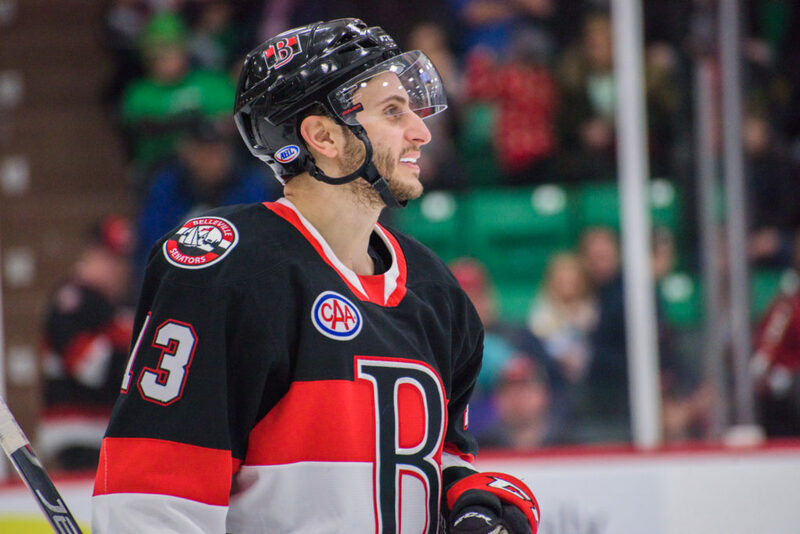 The Sens also hold the tiebreaker over the Monsters meaning that if the two teams are tied for points at the end of the regular season on Sunday, Belleville gets the final playoff spot. Toronto (39-23-8-4) already know their playoff seeding as they are third in the North. However, their opponent is not yet determined as Syracuse and Rochester continue to battle for first place. The Sens are 14-19-2-2 on the road this season while Toronto is only 16-14-5-1 at home. 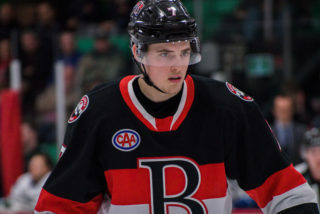 No official word yet on whether Sens rookie forward Logan Brown, who was a late scratch Wednesday night, will be in the line-up for the team but he did make the trip to Toronto. 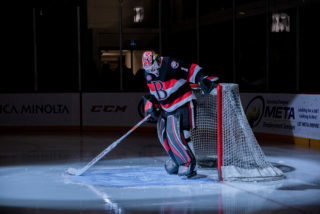 No confirmation from Senators head coach Troy Mann but expect Marcus Hogberg to start this afternoon in a must win game for Belleville. Andrew Sturtz, Erik Brannstrom, Mike Condon, Jim O’Brien, Max Lajoie and Morgan Klimchuk are out for Belleville. This afternoon is the 12th and final Battle of Ontario this season. The Senators are 7-2-1-1 against the Marlies this season and are 6-3-1-1 all-time in Toronto. 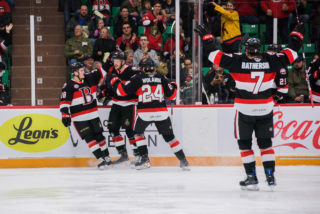 Drake Batherson, fresh off of being named to the AHL’s All-Rookie Team, continues to lead the Sens in points this season with 59 (22 goals). Ukrainian forward Dmytro Timashov is third in scoring for the Marlies where he has 48 points (14 goals) in 70 games. 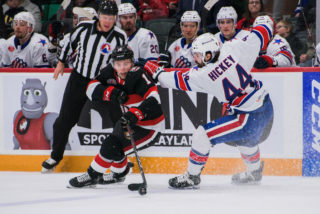 Saturday’s game starts at 4:00pm and can also be seen on AHLTV. Fans can also watch tonight’s contest at Shoeless Joe’s in Belleville.